How Long Will Your Insurance Cover a Rental Car? Need a car for more than a month? Do you usually decline the insurance offered over the rental car counter? 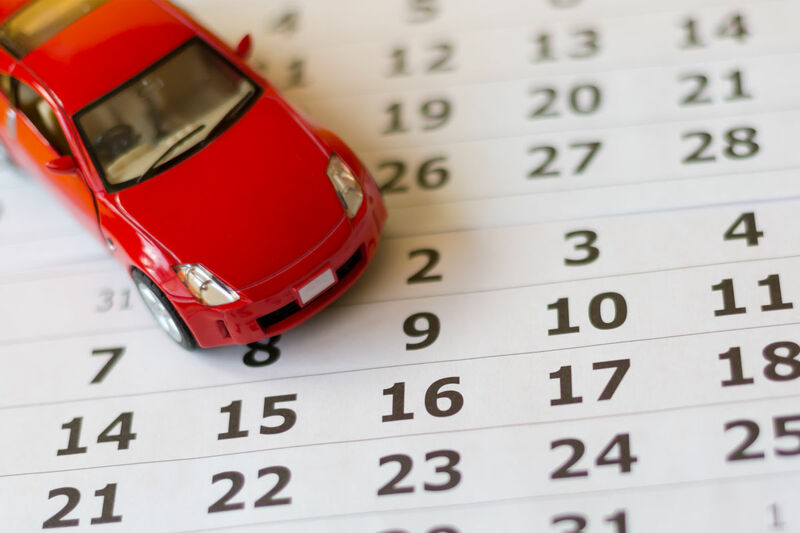 Auto insurance companies and credit card companies generally impose time limits on how long they will cover rental cars, but the specifics vary. To play it safe, check with your provider for reservations lasting longer than two weeks. Will Personal Auto Insurance Cover a Long-Term Car Rental? Wondering if your auto insurance policy will keep you covered during an epic road trip or prolonged stint away from home? It's best to call the insurance company directly if using an existing auto policy to cover a long-term rental. Most major auto insurers cover rental cars for up to 30 days but the timeframe can vary and policies are not always straightforward. For example, Geico generally covers private passenger vehicles rented for 30 days or less. Meanwhile, Allstate says customers can expect their auto policy to cover a two-week car rental, but that a long-term rentals would be evaluated on a claim-by-claim basis. Whether or not your auto insurance will cover a rental car claim can boil down to why you need the car in the first place. If you need a long-term car rental because your personal vehicle was in an accident, the rental car cost may be covered if you opted to purchase rental reimbursement insurance. Insurance companies typically offer this as an option to cover expenses while policyholders shop for a new car or wait for repairs. This rental reimbursement coverage provides a per-day limit over a specified period of time, such as $30 per day for 30 days. Want to be sure your personal auto insurance covers your entire long-term car rental? Split your rental into two concurrent transactions under 30 days apiece. If you need a car for 45 days, for example, make two separate rental car bookings. The first rental would take you through the first 30 days and the second would cover the last 15 days. Should you get in an accident with either rental car, your personal auto insurance coverage would remain valid since each rental period would be less than 30 days. Will Your Credit Card Cover a Long-Term Car Rental? But what if you don't own a car? Your credit card likely provides coverage for rental cars, but as AutoSlash.com founder Jonathan Weinberg told CreditCards.com, the terms vary from card to card so it's always best to check your own card's policy before making a reservation. A WalletHub study found that about 38 percent of credit cards cover domestic rentals for 15 days and international rentals for 31 days. Just over half of credit cards (52.3 percent) cover both domestic and international car rentals for at least 30 days, while about nine percent cover rentals for just 15 days. WalletHub cited Citi and Chase as the issuers offering the best types of cards for car rentals. Visa cards automatically provide coverage for damage, vandalism and theft of a rental vehicle for up to 15 days. International rentals (with the exceptions of Jamaica, Israel and Ireland) are covered for up to 31 days. Some premium cards, such as Chase Sapphire Reserve, cover car rentals for up to 31 days. MasterCard policies vary but most card issuers cover rental cars for up to 31 days. For example, both the HSBC Premier World Mastercard and Citi cards provide coverage for that period of time. American Express sets out a blanket 30-day coverage period for car rentals across its cards. However, cardholders can extend that period to 42 days if they pay for the Premium Car Rental Protection, which is similar in price to what you might pay for over-the-counter insurance at the rental car agency.